Building on the success of its Great tasting coffee, simple campaign over the last two years, McDonald’s have launched a new integrated campaign called ‘We could’ aimed at driving the quality credentials of its McCafé coffee in a simple and pragmatic way. 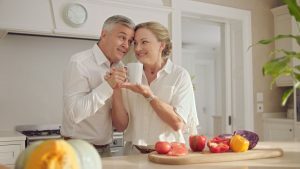 The campaign kicks off with a TV advert airing on 18th March and will be supported by radio social, press, digital display, out-of-home, all of which bring to life the ridiculous ways McDonald’s could talk about their coffee in each of those channels, but don’t. 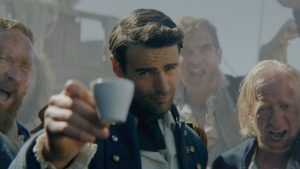 Created by Leo Burnett London, the humorous campaign shows McCafé coffee as having the same quality points as its competitors such as 100% freshly ground Arabica beans and organic milk but without the superfluous ways to talk about them. The 60” film and two 30” cut downs show the audience how the brand ‘could’ communicate the quality of McCafé coffee using classic advertising methods such as ‘telling a humble origins story and discovering conveniently placed sacks of coffee’ or by ‘showing a selection of models holding cups up to their faces’. After a number of scenes demonstrating the more ridiculous ways McDonald’s could choose to talk about its coffee, the audience is shown Arabica beans being freshly ground in a McDonald’s restaurant and a McCafé cup being filled with coffee, highlighting what McDonald’s actually do: ‘Great tasting coffee, simple’. One Response to "McDonald’s Once Again Poke Fun at the World of Coffee in New McCafé Campaign by Leo Burnett London"